Wouldn't it be great if, with a push of a button, you could get a freshly-made gourmet cupcake any time of day or night? Ten years ago, you might have thought this type of machine was only available to The Jetsons, but today it's a reality at Sprinkles, the newest addition to the Disney Springs family. 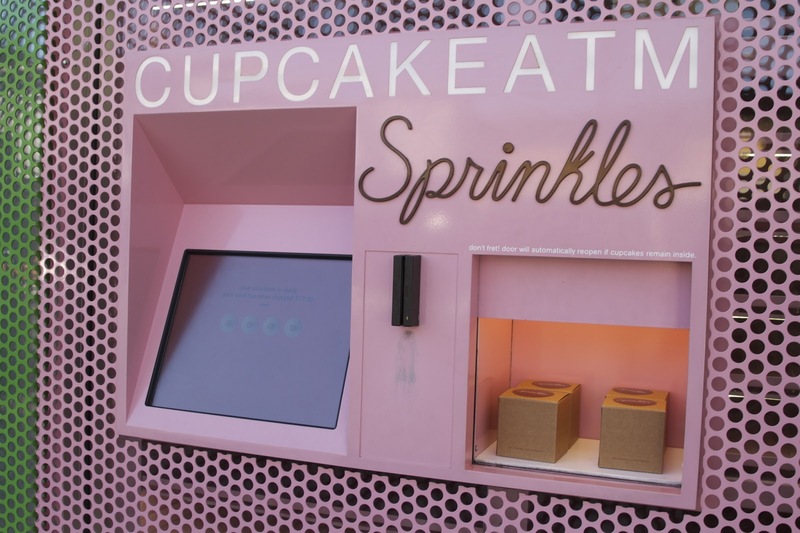 This is the nation's 20th cupcake ATM, offering all of Sprinkle's cupcake flavors made fresh to order, along with their dog-friendly cupcakes (not for human consumption). The cupcakes are $3.95 for mini-cupcakes (offered in four traditional flavors) and $4.95 for full-size. 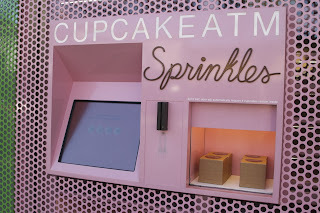 Touted as the first cupcake bakery by the Food Network, Sprinkles is much more than a cupcake ATM. Open 10 a.m. to midnight, the beautiful shop has dozens of cupcake flavors, including Banana Peanut Butter, Cuban Coffee, Sprinkles, Dark Chocolate and Red Velvet. Additional offerings include sugar-free, gluten-free, and vegan cupcakes; ice cream (Cap n Crunch was my fave); cookies and a cupcake decorating center. But what you really want to know is, "How do they taste?" Simply amazing. Personally, I'm not a huge cupcake fan. A mini cupcake is usually all I can handle, before I lunge for a glass of milk. What sets them apart from every other cupcake bake shop is balance and quality ingredients. First, their flavors taste exactly how they should. You aren't getting a typical overly-sweetened, artificially-flavored cupcake. Sprinkles gives you something more like a moist, natural, perfectly-sweetened muffin. Second, the icing complements the cupcake without overpowering the other flavors and again, it is creamy and flavorful - not overly-sweetened. At Sprinkles, I never bothered to check their menu for milk. 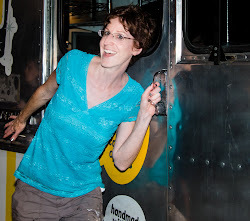 I am a huge ice cream fan and I did find their ice cream to be on the sweeter side. So, if you do prefer a sweeter flavor, I recommend their sundae. It is a cupcake with the top cut off and ice cream put in the middle for between $5.50 and $9.95. According to one of the super friendly employees, Grace, the cupcakes will last approximately two days and should not be refrigerated. Her favorite flavor is Red Velvet with Red cupcake with Red Velvet ice cream. 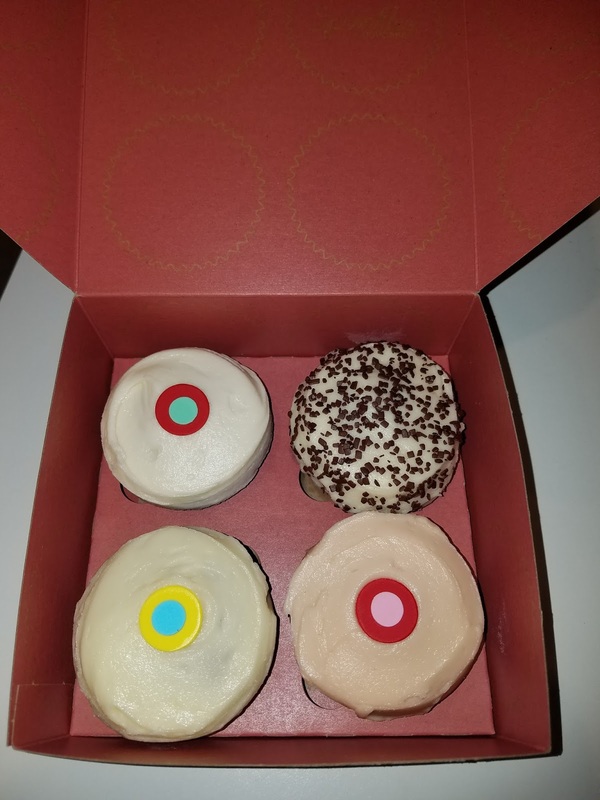 Sprinkles will offer seasonal flavors such as Key Lime and Gingerbread. One of the biggest selling points for sprinkles is their rewards program, which steps up the rewards for frequency. When you sign up in-store or online, you immediately receive a free cupcake and you receive points for every cupcake you buy. The more cupcakes you buy in a year, the more points you earn per purchase and even bigger rewards for the following year. You also get a free cupcake on your birthday! Why have I never tried Noosa Yoghurt before now? Friends rave about it, and I recently was sent some of their innovative new flavors. First, the texture of European-style yoghurt is thicker, creamier and - in my humble opinion - more flavorful than regular U.S. yogurt. 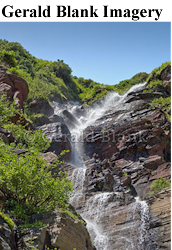 I even love the plain Noosa! Plus, Noosa has different yoghurt flavors than what you typically see on the shelf (such as Vanilla or Strawberry Banana). The company recently launched Blackberry Serrano, Key Lime and Blood Orange flavors, as well as 4-packs of its Salted Caramel flavor. and serrano peppers. It's not for me. I guess I don't want spice with my dessert, even though I love hot peppers and appreciate that this yoghurt had a fair amount of heat. The friends who tried it were pretty evenly split: half loved it and half hated it. Same with the Blood Orange: half of my friends loved it and half hated it. However, the Key Lime has a strong lime flavor and is delicious. And the Salted Caramel is so yummy. I think I will stick with the sweeter flavors! In Central Florida, you can find Noosa at Publix, Fresh Market and other stores.